How can you donate Smiles? Providing services to the Foundation. Sponsoring a person with hearing loss. Monthly fees or one time contribution. Organizing activities for the Foundation. 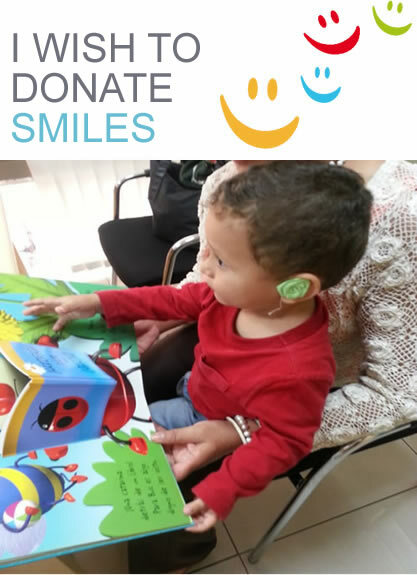 We accept hearing aids in good condition that you or people you know would like to donate. They go through a process of cleaning and maintenance to ensure appropriate operation and sanitation. This way they may be fitted to those who do not have the financial resources to acquire them. Every program emphasizes equality of gender and race as well as child protection.